Superannuation can be an attractive and tax-effective way to save for retirement. Not only are there generous tax savings while you are working but also when you do retire and eventually draw income from your superannuation fund, you can generally do so tax free. - One member of the couple has taken time out from the workforce to raise children. A spouse contribution can be made to a super fund by an individual on behalf of their spouse. If your spouse’s total income (adjusted taxable income) is less than $13,800 a tax offset of 18% is available to you for contributions up to $3,000 that you make to your spouse’s superannuation fund. The maximum offset is $540 (being 18% of $3,000). The offset can be used to reduce the tax payable on your taxable income. You can contribute more than $3,000 to their superannuation fund (within contribution limits) but you won’t receive the spouse contribution tax offset on anything above $3,000. If you have surplus income or cash funds in your personal or joint names, you may wish to consider using this money for you or your spouse to make after tax (non-concessional) contributions to their superannuation account. The type and amount of contributions that can be made will depend on factors such as age and employment status. You can check the limits here. In some cases, if allowed by the superannuation fund (and most commonly if you have a SMSF), in-specie contributions of assets can be made to the superannuation fund. This will commonly be in the form of direct share investments that you may hold in your personal names or in joint names. Instead of making a cash contribution, the shares are transferred to the superannuation fund by way of a concessional or non-concessional contribution. In addition to contributing to your spouse’s superannuation, you can also choose to have some of your own superannuation contributions put into their superannuation account, as long as they’re under 65 years of age and not retired. Superannuation contributions can only be split after the end of a financial year, and some superannuation funds may charge a fee to do this. Two types of contributions can be split: employer and non-concessional contribution. It’s important to note that any contributions you make to superannuation are counted as part of your contribution limits, not your spouse’s limits, and tax will be deducted from your contributions before you split them with your spouse. We recommend you seek professional advice if you’re interested in splitting your superannuation with your spouse. If your spouse is under age 71, has at least 10% of their total income coming from employment or running a business and earning less than $49,488 (2014/15), they may be eligible to receive a Government Co-Contribution if they make personal non-deductible or after-tax contributions to their superannuation account. The co-contribution is paid at a rate of 50% of the eligible contributions with a maximum co-contribution of $500. The Government’s Co-Contribution is a great way to boost superannuation savings. You can read more about this incentive and eligibility requirements here. 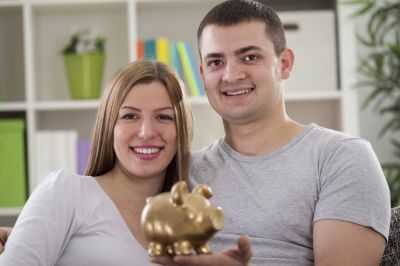 While these four strategies are all effective ways to boost superannuation which ones are right for your situation will depend on you and your spouse’s personal and financial situation. We recommend you speak to your financial adviser who will be able to guide you through the process and work out the best way for you to build your spouse’s superannuation balance.